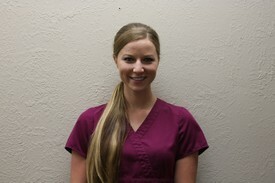 Amber is one of the registered dental hygienists at Premier Dental Care. She received her dental degree in 2014 from Lamar Institute of technology. She strives to improve at her craft, and maintain the highest current standards in patient care practices—“developing relationships with my patients and colleagues is one of the most rewarding aspects of my career”. During her free time, Amber is a huge outdoor enthusiast. Her favorite activities are horseback riding, four-wheeler/mud riding, and relaxing at the lake. Amber was born and raised in Southeast, Texas, where she currently lives her life to the fullest everyday! Aleisha graduated with her Bachelor of Science degree in Dental Hygiene from the University of New Mexico’s School of Medicine: Department of Dental Medicine in 2009. She then went on to obtain her Master of Science degree in Dental Hygiene in 2013 where she focused on Local Anesthesia in Dental Hygiene Education. Aleisha has practiced in a veriety of private, clinical, and educational settings for the past 8 years in New Mexico, Colorado, and Texas. Aleisha strives to provide comprehensive and compassionate care to all of her patients. It is her intention that her patients feel comfortable during their dental cleanings and that all of their concerns are addressed. In her free time Aleisha enjoys spending time with her husband, 3 children, and her dogs. She loves going to the mountains in New Mexico and Colorado, and eating green chili on anything! Sarah was born in Port Arthur and has lived in Bridge City her entire life. She has been a registered dental assistant for 7 years. Sarah has been by Dr Lu’s side since 2014. She loves helping and making her patients smile. In her spare time, she enjoys being outside with her 3 beautiful children Addison, Kade, and Joshua. Candice was born in Orange and raised in Bridge City, Texas. 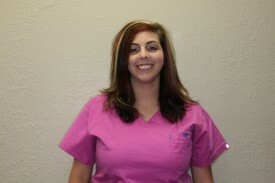 She graduated from Texas Careers with a degree in dental assisting in 2009. 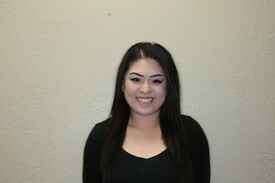 She is always friendly and strives to make patients feel comfortable. In her free time, she loves spending time with friends and family. Jodi was raised in Massachusetts and currently resides in Bridge City, TX. 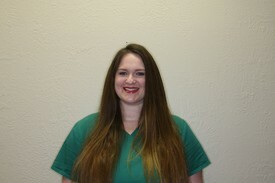 She attended Lamar and is a Registered Dental Assistant with the state of Texas. 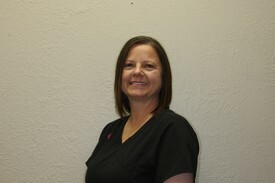 Jodi has worked in the dental field for over 20 years and is an expert on handling dental insurance claims. On her down time, she enjoys spending quality time with her family. 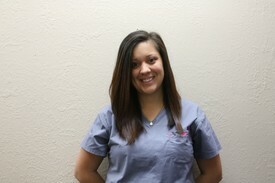 Alyssa is a devoted registered dental assistant for Premier Dental Care. She’s proudly joined our team in April of 2016 after graduating from Kaplan College in Beaumont, TX. What Alyssa loves most about her job is the family atmosphere with her coworkers and patients. 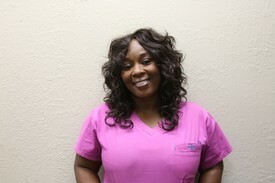 She always has patients best interest at heart and enjoys making her patients smile. After work, Alyssa looks forward to seeing her 2 year old daughter, Eliana. Furthermore, she’s pursuing a career as a dental hygienist. Tossha is a graduate of Lamar Institute of Technology’s 2005 class. She’s a very blessed, grateful, and proud mother of 3 beautiful children, Ahniyah, Ashton, and Shannon. Tossha is also very active and involved in church and its youth ministries. She’s a member of a co-ed softball team (bat catcher), PTA parent, and cheerleader sponsor. Her hobbies are shopping and volunteering with different civic organizations, helping the homeless and those in need. During her leisure time, she loves spending time with her kids, being involved in their extracurricular activities, traveling, and going to church. Tossha’s future plans are to get back into the education field because of her passion for kids.